On February 13, 1967 an amazing discovery was made by American scientists working in the National Library of Spain, Madrid. 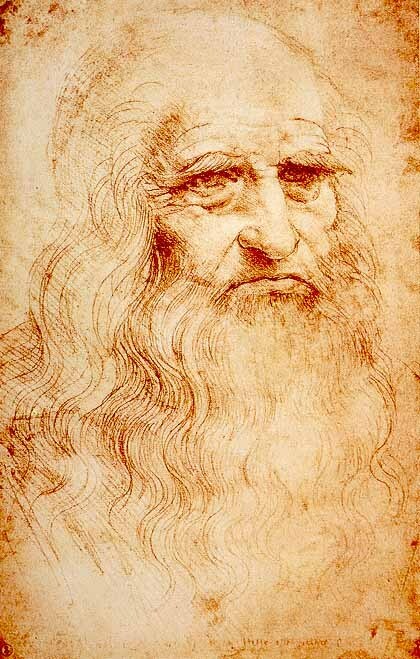 They had chanced upon 2 unknown works of Leonardo da Vinci, know as the "Codex Madrid". There was much excitement regarding this discovery and public officials stated that the manuscripts "weren't lost, but just misplaced". Although Pascal is credited with creating the adding machine, in the 1950s, diagrams and directions were discovered for an even earlier adding machine design. In 1624, Wilhelm Schickard designed a mechanical calculator. It is believed that two prototypes survived, although their whereabouts remain unknown. If they even survived remains unknown. Perhaps it should be no surprise that even Leonardo da Vinci envisioned the adding machine. In 1967, more of da Vinci's many papers diagramming some of his amazing inventions came to light. Among them was a schematic for a device very much like Pascal's adding machine. Had da Vinci been able to implement the many inventions he designed, he would have revolutionized the already burgeoning Renaissance.